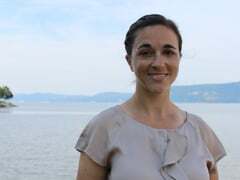 Jen Epstein joined the Riverkeeper staff in August of 2013. She works with local community partners to monitor and improve water quality in the Hudson’s tributaries. Jennifer’s work experience includes post-restoration monitoring, vegetation mapping, and environmental consulting. A native of Poughkeepsie, Jen earned a M.S. in Biological Sciences from Fordham University, where she studied the effects of impervious surface coverage on water quality in Westchester County streams, and a B.A. in Earth and Planetary Science from the University of California at Berkeley. She was an AmeriCorps Volunteer in the Lake Tahoe region and a Peace Corps Volunteer in West Africa.